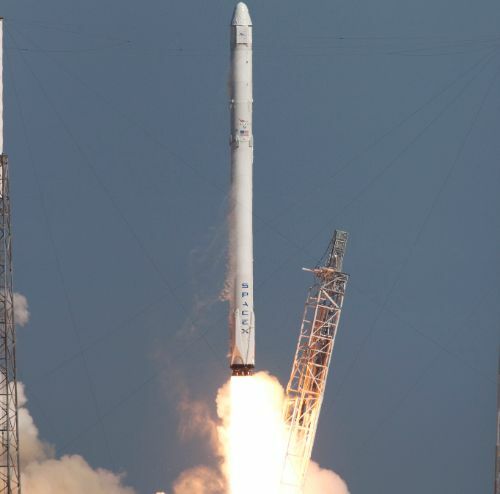 The SpaceX Falcon 9 Rocket tasked with sending the company’s Dragon spacecraft on its Return to Flight Mission completed a Static Fire Test Tuesday night, one of the final milestones ahead of Friday’s planned liftoff from Florida’s Space Coast. Reviews of Tuesday’s brief ignition of Falcon’s nine first stage engines will be completed to clear the vehicle for liftoff on Friday at 20:43 UTC. This is the third cargo mission to the International Space Station launching in a period of just three weeks, starting with the Cygnus OA-6 spacecraft arriving at ISS on March 26 carrying 3,395 Kilograms of cargo and followed by Progress MS-02 flying to ISS late last week with nearly 2,500kg of supplies for the six Expedition 47 crew members in orbit. 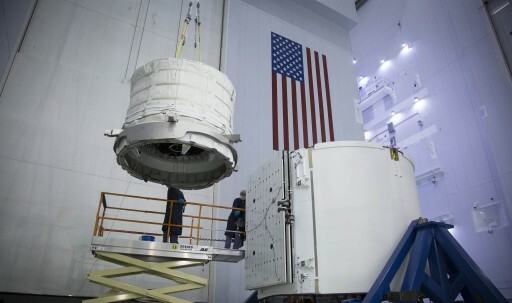 The Dragon SpX-8 mission delivers to ISS another 3,136kg of cargo, including the Bigelow Expandable Activity Module, set for a two-year stay at ISS to demonstrate expandable space habitats in the actual spaceflight environment. 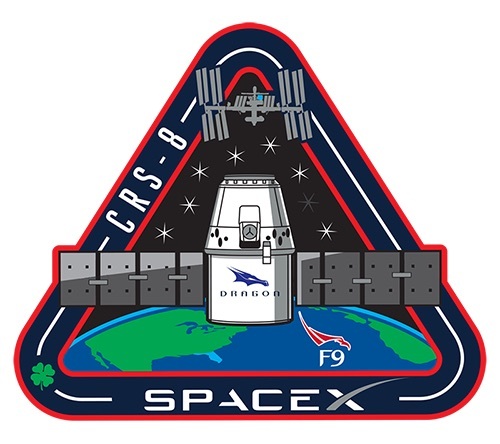 This is the Return to Flight mission for the Dragon spacecraft and the first to head into orbit on the more-powerful Falcon 9 Full Thrust version. 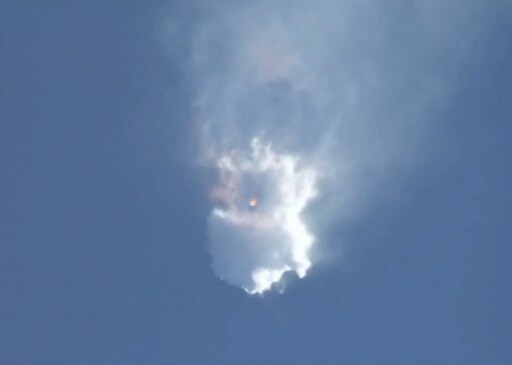 The Dragon SpX-7 mission in June 2015 ended in failure just over two minutes into Falcon 9’s climb to orbit when a structural failure in the second stage’s Helium pressurization system caused an overpressurization of the stage’s Liquid Oxygen Tank leading to the loss of structural integrity. SpaceX successfully returned Falcon 9 to flight in December with the first flight of the FT version and since completed successful missions with the Jason-3 and SES-9 satellites. 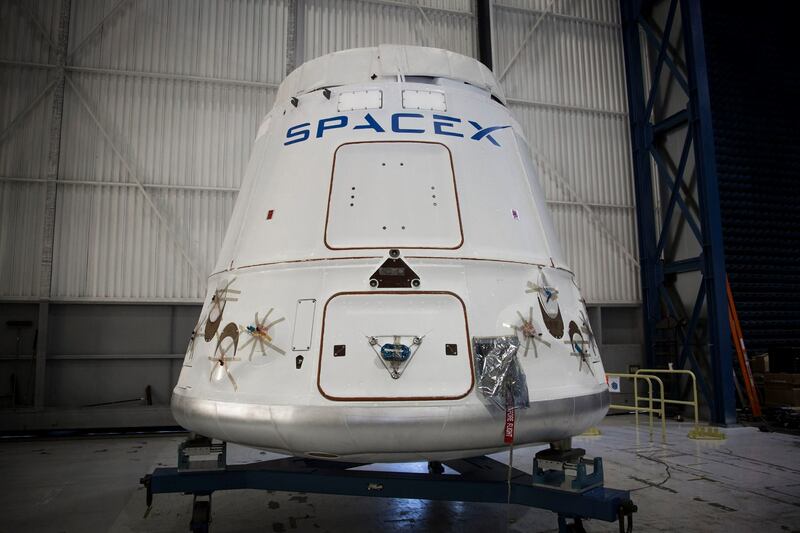 Dragon still enjoys a special status within the Station’s visiting vehicle fleet as it is the only craft capable of returning cargo from ISS in meaningful quantities. The Russian Soyuz can return a few dozen Kilograms of experiment hardware along with its three crew members, but only Dragon can fly large pieces of internal hardware and powered payloads back to Earth. With a nine-month stand-down of Dragon missions, laboratory freezers aboard ISS are filled with samples awaited by scientists on the ground and a number of other science payloads and systems hardware is set for post-flight inspection. Heading into orbit aboard the Dragon is a group of mice as part of the third Rodent Research Study conducted on ISS, examining a possible remedy of bone and muscle loss in space flight and muscle-wasting diseases on Earth. Also packed into the Dragon is the next set of plants to be grown in the Station’s Veggie facility. One-year Space Station resident Scott Kelly was able to show off the first flowers grown on ISS in January as the plant-growth unit entered a more regular use after the initial pilot study in 2014. The Veg-03 experiment will grow Tokyo Bekana cabbage to check whether lessons learned in the first two Veggie studies involving lettuce will yield a more efficient plant growth. Other science experiments launched on the SpX-8 mission look at mechanisms governing the behavior of fluids at the nano-scale, attempt to grow protein crystals for cancer research, check whether fungi can be flown to space to trigger them to produce medically-relevant substances, and to examine the microbial environment aboard ISS. In addition to plenty of science equipment, Dragon also transports food and supplies for the crew, hardware needed to keep all ISS systems up and running, as well as EVA equipment and camera/TV hardware. 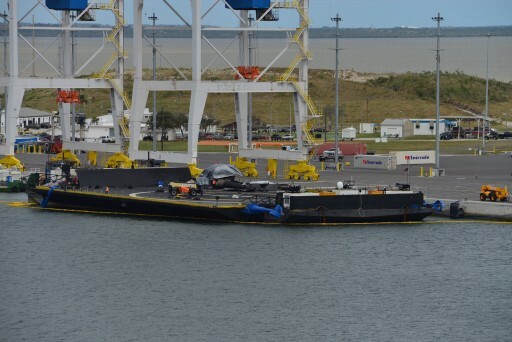 Heading into final processing for the SpX-8 mission, SpaceX shipped the first stage of the Falcon 9 to the company’s Texas test site in late January with the second stage following suit on February 2. During testing at McGregor, a problem with ground-support systems caused damage to the first stage engine section requiring repair, but not impacting the overall timetable as Space Station schedule changes were responsible for a slight drift of the mission from a late March target to a liftoff date of April 8. Arriving at Cape Canaveral at the end of March, Falcon 9 was assembled inside the hangar at Space Launch Complex 40 and the Dragon spacecraft also finished its processing campaign, being loaded with cargo and propellants. 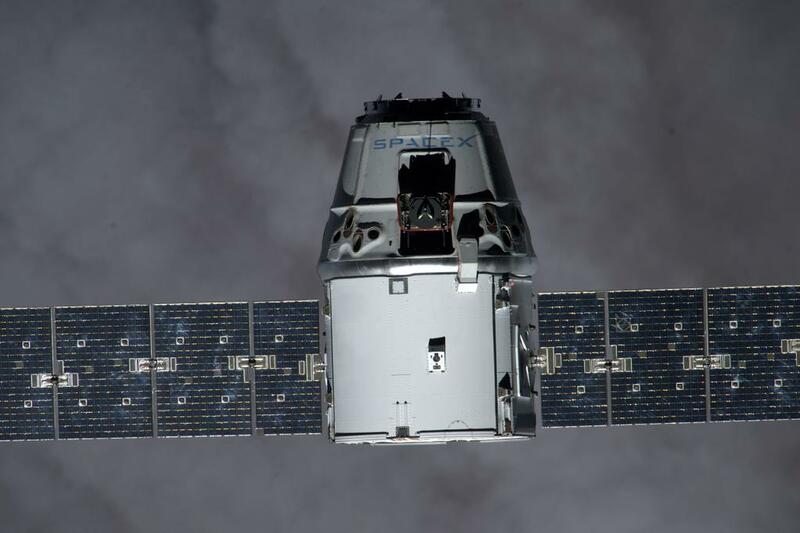 The BEAM module was installed in the Trunk Section of the Dragon before the spacecraft was installed on the external trunk that hosts the craft’s power-generating solar arrays. 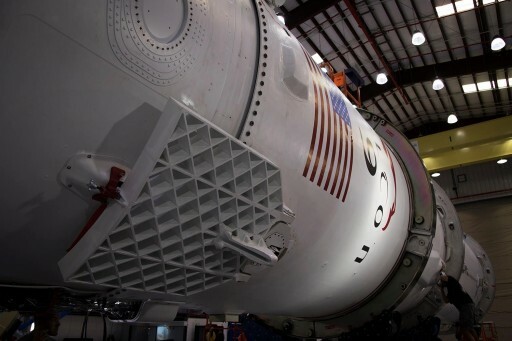 Processing at the Cape remained on schedule and Falcon 9 was wheeled from the hangar to the Launch Pad in the afternoon hours on Tuesday to be placed in its upright launch position for the Static Fire Test. The Static Fire has been part of every SpaceX launch campaign to date, serving as the final end-to-end test of the rocket prior to launch day. 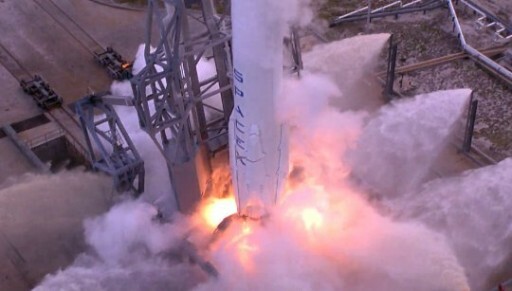 As part of the test, Falcon 9 is fully loaded with sub-cooled Liquid Oxygen and chilled Rocket Propellant 1 as well as Helium pressurant and Nitrogen attitude control system propellant to verify the integrity of all propellant and pressurant systems – including those not necessarily needed for a static fire of the first stage. Loaded with over 500 metric tons of supercold propellants, the 65-meter tall Falcon 9 headed into the business end of Tuesday’s mock countdown, going through the critical steps of the Automated Countdown Sequence that have to be executed to perfection on launch day since Dragon missions only have an instantaneous launch window with no room for any delays. The final steps of the countdown included the pressurization of tanks, the transfer to battery power, the chilldown of the nine engines and the retraction of the Strongback structure to allow Falcon 9 to stand on its own. Falcon 9 came to life three seconds ahead of T-0 and the nine Merlin 1D engines soared to thrust for a brief moment, allowing performance data for all engines to be captured. 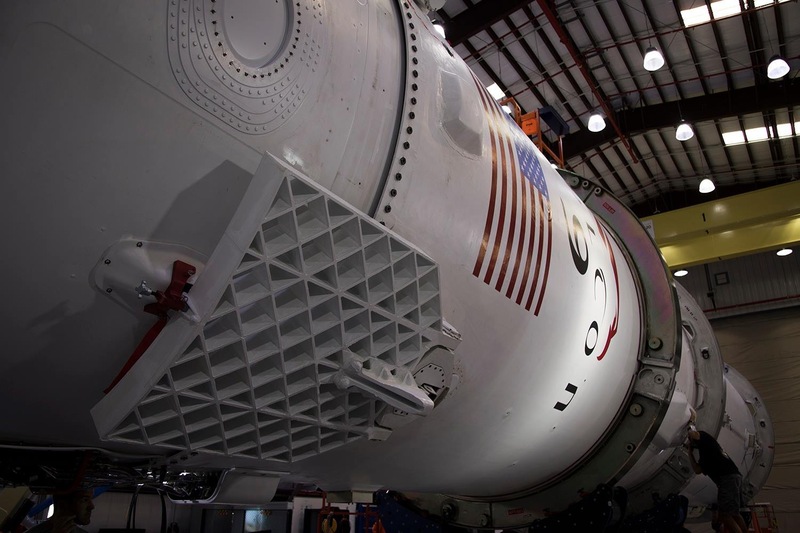 The vehicle was to go through a controlled cutoff and to be transitioned back into a safe configuration while the engineering team checked the data to verify a full-duration firing was achieved and the desired data was collected. After this confirmation was voiced, Falcon 9 was to head into de-tanking to be returned to a horizontal position later on in order to support the late cargo loading operation. Data from the Static Fire will be scrutinized on Wednesday to lead into the Launch Readiness Review that will focus on any open items and the results of the Static Fire Test, looking at the launcher’s and ground system’s performance. 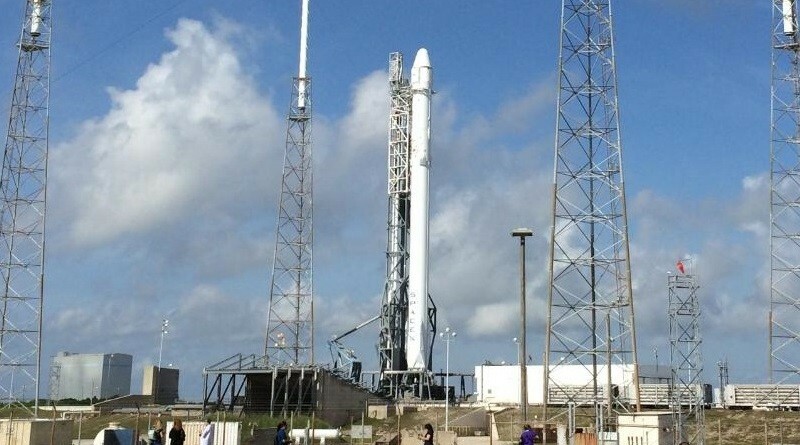 If no red-flags can be found, Falcon 9 and Dragon will be declared ready for flight, marking the beginning of late cargo loading that will be underway until Friday morning – involving the mice and other time-critical science payloads that can not tolerate a long wait for liftoff and arrival at ISS. Meteorologists are relatively optimistic about Friday’s launch attempt, issuing an 80% chance of favorable conditions at the planned liftoff time with ground winds being the only concern. A cold front will move through Cape Canaveral on Thursday and clear skies are expected on Friday, though winds from the sea will remain strong, gusting to the mid-20KT range. For the backup launch slot at 20:20 UTC on Saturday, winds are expected to calm down and weather currently shows only a 10% chance of violation due to a slight chance of cumulus clouds. Lifting off after a ten-hour countdown operation, Falcon 9 will be set for a ten-minute climb to orbit, sending the Dragon spacecraft on its way to make its return to the International Space Station. The first stage will fire its nine engines for a little under two and a half minutes before handing off to the MVac engine of the second stage, tasked with a burn of around seven minutes to push the stack into a Low Earth Orbit. 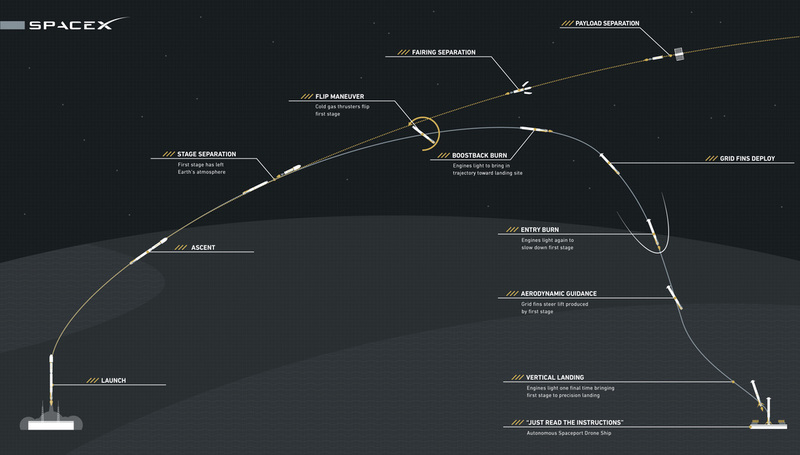 The second stage and Dragon will part ways ten minutes after liftoff and Stage 2 is set for a deorbit burn to aim for a fiery demise in a corridor south of Australia. 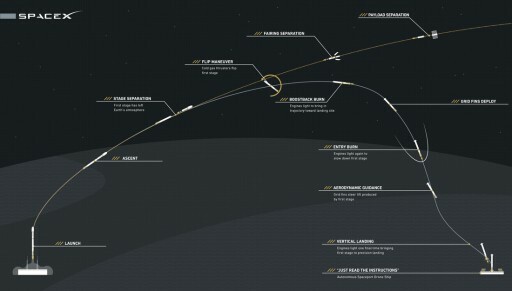 Though the primary mission of Falcon 9 is delivering the Dragon to a stable orbit, all eyes will once again be 200 Kilometers below, watching the outcome of SpaceX’s next attempt to land a first stage on the Autonomous Spaceport Drone Ship. The ASDS “Of Course I Still Love You” had to be patched up after its last encounter with a Falcon 9 in a do-or-die three-engine landing burn on the performance-limited SES-9 mission that did not end in success when the booster was unable to slow down for a soft landing and instead hit the deck at significant vertical velocity – punching a hole in the steel deck structure. Going for a partial boost-back, the first stage will start off its return sequence with a three-engine maneuver to limit its downrange distance, aiming for the ASDS stationed 345 Kilometers north-east of the launch site. A 20-second re-entry burn will slow the vehicle down as it enters the dense layers of the atmosphere and shield the engine section from the extreme aerodynamic environment at Entry Interface. Flying through the atmosphere, the booster will use its four actuated grid fins to guide itself to the Drone Ship’s location before firing up the Center Engine to slow down for a gentle touchdown. 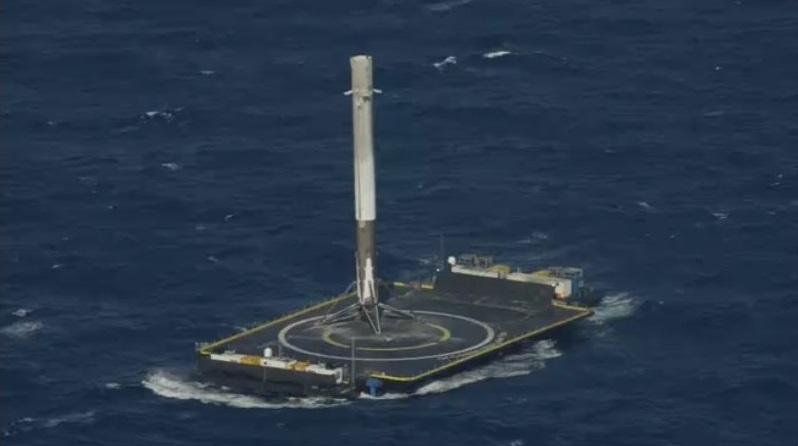 Having come close on several Drone Ship landing attempts, SpaceX hopes to finally recover a Falcon 9 at sea at some point in the next few missions, joining the booster landed at Cape Canaveral after December’s milestone mission with 11 Orbcomm G2 satellites. For Dragon, its mission begins with the deployment of its two power-generating solar arrays before starting its climb to ISS with a series of engine burns Friday and Saturday. The spacecraft will approach ISS from behind and below until reaching a position straight below ISS for a methodical climb to its Capture Point, within reach of the Station’s robotic arm for grapple around 11 UTC on Sunday. 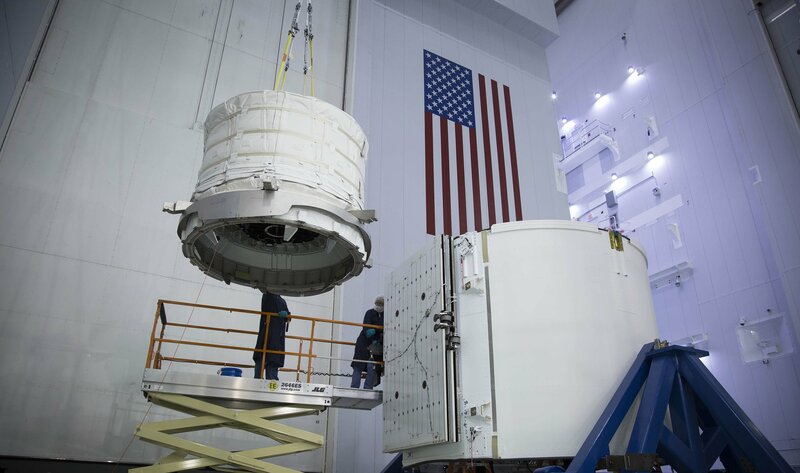 With Cygnus already berthed to the Earth-facing port of the Unity Module, Dragon will take its place on the Harmony nadir berthing mechanism, marking the first time two Commercial Cargo Vehicles are berthed to the Space Station.